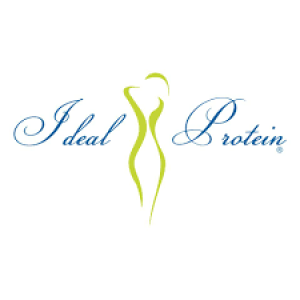 Bottom Line: Ideal Protein offers a wide range of products with an even wider range of success levels. Historically, people who already use a restricted-calorie diet are most likely to experience success with Ideal Protein products. You will lose weight, but it won’t be sustainable over the long term. 2. History of the Brand: How Did Ideal Protein Start? 6. Who’s Ideal Protein For? 7. Ideal Protein – How Does it Work? 8. Ideal Protein – Does it Work? 13. Any Ideal Protein Lawsuits? 16. Would Ideal Protein Work with Your Diet? 17. 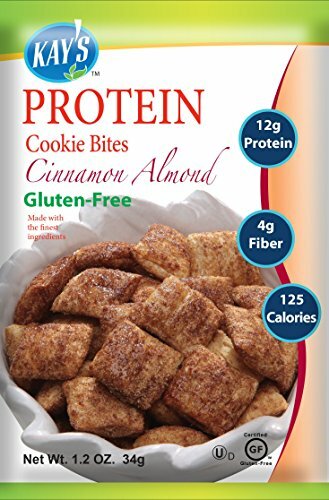 Verdict: Would I Recommend Ideal Protein? Bottom Line: Ideal Protein offers a wide range of products with an even wider range of success levels. Historically, people who already use a restricted-calorie diet are most likely to experience success with Ideal Protein products. You will lose weight, but it won't be sustainable over the long term. Ideal Protein is one of those programs that boasts a lot benefits to its dieters, but just because it’s medically-led doesn’t mean it’s superior to other offerings out there. I decided to give it a try to see how well it worked for me, but I also took the time to dig into the science behind the program, the ingredients, and more. You’ll see my findings here, so you can decide if this the program you want to use to reach your weight loss goals. But, I must warn you… what I have to say may shock you. Ideal Protein is a low-carb ketogenic program that works by depleting the body’s glycogen stores, which allows it to burn fat as energy to produce weight loss. The plan consists of pre-packaged snack foods, soups, and entrees, with a program that many, myself included, find to be challenging to follow because it has so many restrictions. With this program, you’re supposed to have stable blood sugar levels and achieve weight loss through getting sufficient protein for your body. The meals are specifically designed to be low-carb and low-fat. The company claims that people using Ideal Protein will diminish their glucose levels within three days, and from that point on, the body will start using fat for energy. The official website doesn’t tell us what year the company was founded. In the founder and CEO’s, Olivier Benloulou bio, there is mention of ten years ago, but that doesn’t really tell me anything. He founded the company with Dr. Tran Tein Chanh. Ideal Protein uses pre-packaged meals, snacks, and soups to help you reach your weight loss goal. Ingredients vary by product but are focused on creating a ketogenic effect on the body. They are all low-carb and low-fat. The official website provides nutritional labels for review, but not a list of ingredients in the products. Ideal Protein is manufactured by Pharmalab, Inc. That company has been manufacturing pharmaceutical and natural products for more than 25 years and maintains compliance with Health Canada’s food and pharmaceutical standards. Ideal Protein is for overweight and obese individuals who want a medically led program, that uses prepacked meals to help you reach your weight loss goals. After a medical professional prescribes it for weight loss, Ideal Protein is structured into four phases. That professional determines your goal weight and helps guide you through the program phases. In this phase, this is where most of the weight will be lost. You are to consume no more than three Ideal Protein meals, and one meal you’ll prepare yourself. This is an introductory phase where you are just getting used to the regimen. The doctor will give you special instructions on the kinds of foods you can prepare yourself. It must remain low carb and low fat and include plenty of protein and vegetables. Studies show men lose an average of five to seven pounds in this phase, while women lose an average of three to five pounds. How long you remain in this phase depends on your goal. You remain here until you reach eighty percent of your overall goal weight, and then you will move onto the second phase. In this phase, you’ll now be preparing two of your own meals, and eating only two Ideal Protein entrees. You’ll stay in this phase until you achieve your goal weight. In this phase, you’ll be eating way less ideal Protein meals, and focus on self-prepared foods that are portion controlled, and have a controlled amount of fat and carbs. Here, you’ll only consume one of Ideal Protein’s entrees. In this phase, you are no longer eating Ideal Protein foods, and are focused on solely self-prepared foods. This way, you can become self-sufficient and still keep your results. If not, you’re directed to repeat the first phase again. Yes, if you stick to the plan and the nutritional guidelines set forth for your self-prepared meals, it will work. A ketogenic diet comes with many benefits, from weight loss and controlled blood sugar, to increased mental focus and energy, as well as a more normalized appetite. There is a mixed bag of reviews as far as taste goes. Fat makes food taste good, and since these items are low-fat, it’s reasonable that there would be some complaints about taste. Anyone who’s never been on a ketogenic diet before, anyone under the age of 18, pregnant or nursing mothers, and those with medical conditions should seek medical advice before using this program. Those with type 1 diabetes, liver or kidney disease are advised to avoid this program. At this time, I was unable to locate any information about Ideal Protein lawsuits. Because it is based in Canada, it is not rated with the BBB. “Oh yes, it works. You do not have to exercise because your food intake is so limited. I think Ideal Protein should improve the crap they sell you. I find most of it unappetizing. No refund or exchange in any way if you do not like it. If I had known all this before I started, I would have found another way to do this. I hate doing this because the supplemental protein tastes so disgusting!” – Linda R.
“The IP program requires complete commitment – NO cheating – or you won’t achieve your goal(s) as expected. The IP foods help provide variety and convenience 🙂 but I dislike that they are sweetened with sucralose as I prefer natural foods. In phase 2, after you reach your goal, you begin transitioning off the IP foods and continue working with your Coach to identify trigger foods that you may need to avoid forever :(“ – Donna C.
“Reading the reviews on other sites, I’m shocked we are talking about the same plan. I’m starting week 5 and have already lost 17 lbs. Its one of the easier diets I’ve ever been on. Most others sound like sour grapes. It’s not a magic bullet and like anything takes work and commitment. Yes, it’s pricey, but considering the support I’m getting and the quality of the food, it’s worth it. I haven’t felt this good in years; no more heartburn or acid reflux, and I’m beginning to feel like my normal self again! I am loving it, and if you’re ready to commit, this is for you.” – Gayle C.
No, I just can’t stand by a product that offers pre-packaged meals that are shelf-stable for three years and made with artificial sweeteners. That’s not healthy – despite how convenient it is. When you consider the cost and the fact that you still have to buy lots of fresh produce, it’s just not worth it to me. If you’d still like to try their products, there are several promotional codes out there so you can try for yourself. Remember, you’re best suited by finding a clinical close to your home.